Situated in a gorgeous hillside position close to Duras, this property has a three bedroom gite and swimming pool, set within six acres of land. 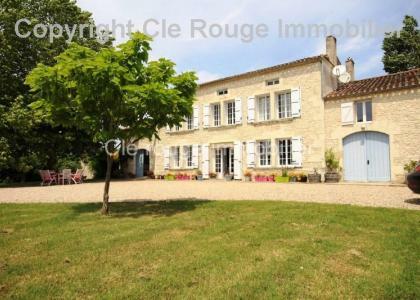 At Clé Rouge Immobilier we are dedicated to helping you realise your dream of owning a property in South West France. Our property agents are available to help in all aspects of your property purchase and will accompany you through the process from understanding your needs to moving into your new home. We have a broad range of properties available around Duras and Bergera area to suit all tastes and budgets, but if you cannot find what you are looking for on our website, please contact us, as we are continually entering new properties and we also specialise in providing a free of charge property search service.